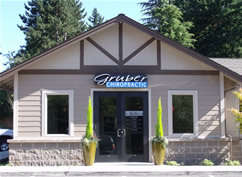 At Gruber Chiropractic we always run our full neurologic/orthopedic testing before any treatment is done, including tests such as computerized joint range of motion, surface electromylography and postural evaluation. Chiropractic Manipulation Therapy – spinal manipulation and adjustment, a set of specific maneuvers performed in an effort to realign spine and normalize improper spinal motion. Soft Tissue Manipulation (massage) – helps relax muscles around spine. We offer 10 min preadjustment massages to reduce muscle tension prior to your adjustments. “We have been seeing amazing results combining chiropractic and massage” These are performed at the time of your your adjustment in on of our relaxing adjusting rooms. Hot Packs – increase blood supply to muscles and relaxes musculature so an adequate adjustment can be performed. Exercise and Stretching Programs – we emphasize these to help maintain optimal spinal alignment. Nutritional Counseling – so your body has the raw materials it needs to heal. We also offer the Ideal Protein Diet Protocol. A medically designed FDA approved diet protocol that has been proven to help you reduce body fat at an astounding rate. Most people lose between 5 to 7 pounds per week! This process allows people to not only look and feel better but also reduce there reliance on medication to reduce blood pressure, cholesterol and blood sugar levels. Do you have a “back problem” or a “health problem”? 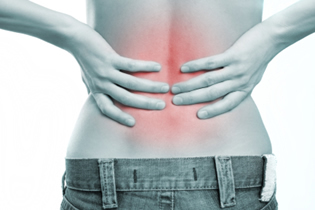 Studies show that approximately 80% of Americans will suffer from lower back pain. The reasons are many and varied, but the ultimate cause is the lower back’s structure (muscles, joints, discs and vertebrae) losing its normal functionality. Dr. Gruber specializes in finding the cause of your lower back pain and treating it using his program of spinal adjustments, proper exercises and stretches and a well balanced diet.